Red Thread Adventures: Civilization - Ho! It took some getting used to, the distances up there. 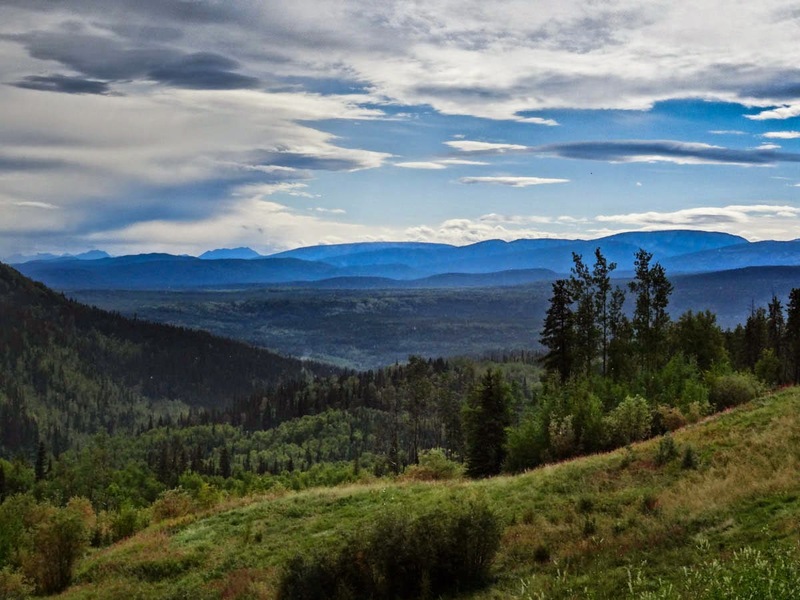 After a leisurely start, with another turn around the hot springs, we pointed our noses south and made our way to Fort St. John, some 430 miles away. We paused for brunch at the Northern Rockies Lodge, which was truly some kind of hunting lodge for rich weirdos. There was not a soul around and we had the dining hall of the big log cabin to ourselves. It was hard to tell if it was simply the time of year, or if hunting lodges of the far north had finally seen their day. None of the ones we’d seen thus far were doing great business. Rather than dwell on that, we filled our our stomachs and our gas tanks and continued on our way. The engaging curves and sweeps through the mountains, along with the occasional herd of buffalo, kept us occupied. To keep the blood flowing and our legs from cramping, Sledge and I would stand on the pegs for several miles at a time. That meant slowing down a little, but just a little, as we leaned into the headwind. Nothing seemed too risky on Lily now - she and I had learned enough about each other’s strengths and weaknesses that there weren’t any surprises, just increasing confidence from knowing what to expect. Lily’s rear tire had formed a chine, a hard angle where there used to be a smooth curve. That made cornering about as much fun as balancing on the edge of a shoebox and, even though the roads were solid chip seal, her back end would squirrel around as though we were on gravel. Sledge predicted I wouldn’t make it home on the tire and I reluctantly agreed. It didn't help that Verity’s rear tire was only about 500 miles better off. 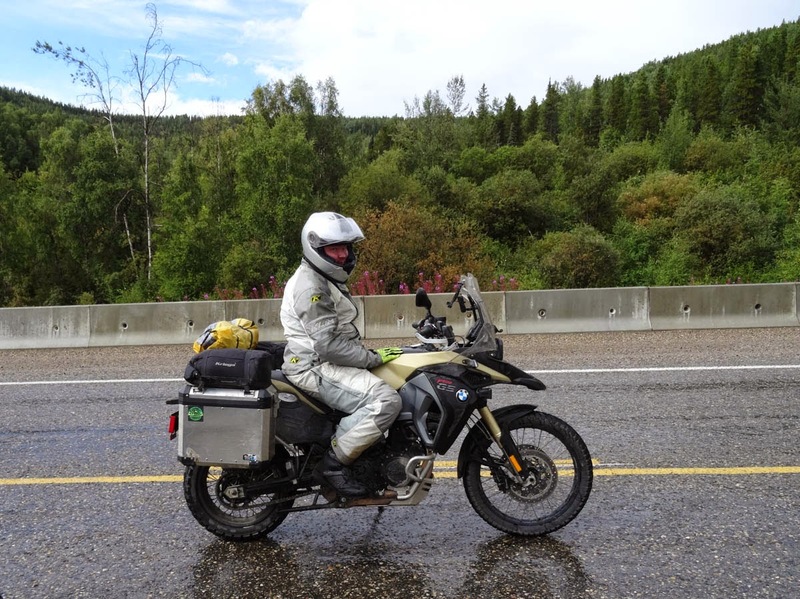 By mid-afternoon and in a downpour we finally rolled into Fort Nelson, the first real town we’d seen since Whitehorse. Five miles outside the city limits the heavens opened and every idiot behind the wheel of a car slowed down enough to ensure we got as wet as possible. We finally pulled over at the local Boston Pizza restaurant and got a bite to eat while we waited for the squall to move through, which it did, leaving acres of sunshine in its wake. 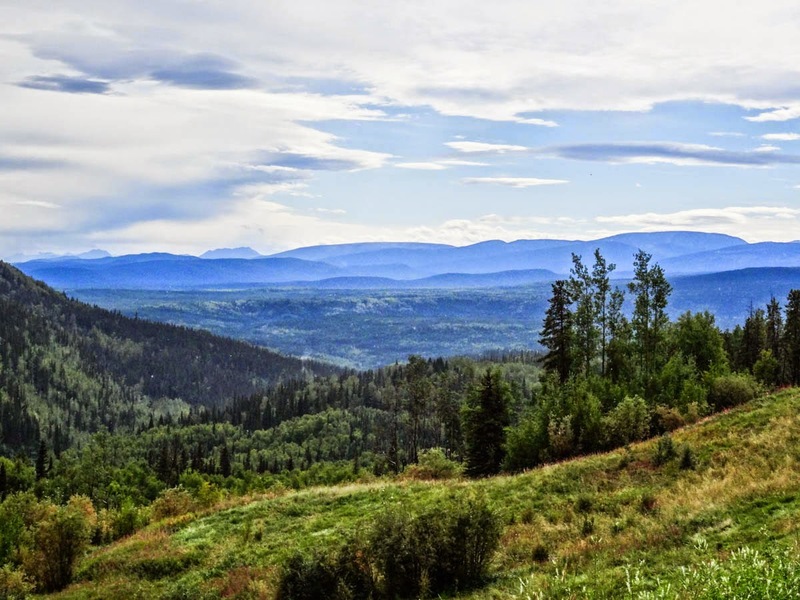 I wish there was more to write about Fort St. John, but there’s not much to tell. It’s the hopping off point for every frikkin’ fracker in a 500 mile radius, which only means accommodations are twice the price they should be and the food is crappy. And that’s about it. But after a couple of epic days riding we’d finally reached the first vestiges of civilization and we celebrated by putting a serious dent in a bottle of Woodford’s. Jim Beam can kiss my patootie.